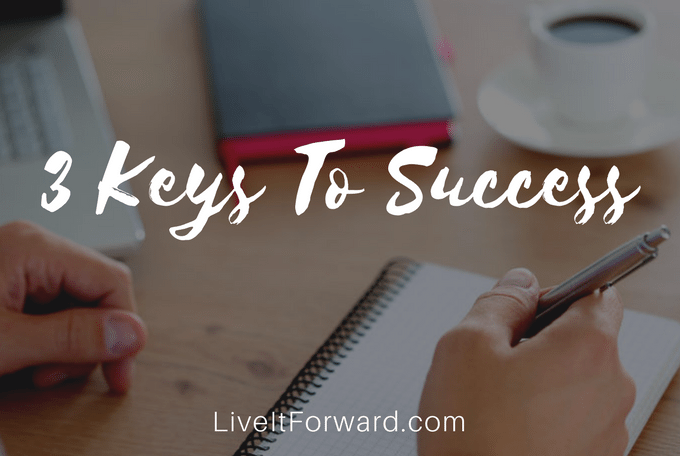 Are you ready to experience success and significance in your life and career, but aren’t sure where to start? I’ve been there before! Here are three principles to help you get started along your path to success. What is that 1 thing that makes life worth living? Even more, if everything else is taken away in life, what is the 1 thing that makes life…life? Once you clarify what your life is all about, you will be well on your way to finding true success! Another key to success is aligning who you are (aka, your being) and what you do (aka, your doing) with your 1 thing. In other words, how does your 1 thing impact who you are and what you do? This step personalizes your 1 thing and allows you to create a personal purpose or mission statement. For instance, my personal purpose statement is: To glorify God and enjoy Him well (i.e. my 1 thing) by living it forward in the most important roles of my life (i.e. my being) and by inspiring and empowering others to do the same (i.e. my doing). What attitudes and habits are NOT in line with your life purpose? Take a close look at your life and career to determine what things don’t fit with your purpose, and then take action to get rid of anything that won’t lead you down the road to success. This step alone is one of the greatest keys to success. Sure, it’s challenging. But WOW, the momentum you gain from aligning your life and work with your purpose is nothing short of amazing!